Basel is Switzerland’s third-largest city – encompassing 14 square miles (36 square km) – and, as a half-canton, borders the Jura Mountains, the German Black Forest and the French Vosges. It is often referred to as the “Gateway of Switzerland,” and is well known for its chemical industries, the Rhine harbor and its Fasnacht celebration. Basel-Stadt is the meeting place for France, Germany and Switzerland, and influences of all three nations abound in this unique city, which is also the home of Switzerland’s oldest university. Mostly Protestant, German-speaking citizens inhabit Basel-Stadt, which is the smallest canton in Switzerland. 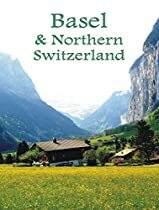 In terms of population the canton ranks 14th out of the 26 cantons, and it is home to the third-largest contingent of foreigners found anywhere in Switzerland, behind the cantons of Geneva and Ticino. By using Basel as a base, you can travel easily throughout this region within five days or less. For horse enthusiasts, there’s no finer place than the village of Saignelègier in Canton Jura. Numerous horseback riding excursions and holidays are to be found here, and the National Horse Fair is held here annually. From Basel, you can travel either by car or trail to most destinations in this region in an hour or less. For cyclists, the Aare Bike Trail begins and ends in Canton Aargau, which is home to the village of Rheinfelden, famous for its saltwater health spas, and the health-resort village of Baden on the Limmat River. Solothurn’s old city is perfect for rainy-day walks and shopping trips, as is the medieval village of Zofingen, in Canton Aargau. And you definitely won’t want to miss the Roman ruins in the village of Liestal, just a short distance east of Basel’s city center. Basel itself is worth a few days of exploration. The city is a haven of museums, and the Old Town, with its numerous bridges and historic buildings, is enchanting and romantic. Basel is also a major junction for trains and highways connecting Switzerland with other European destinations. Sightseeing here begins with the Rheinbrücke, Basel’s Middle Rhine Bridge, and one of its most historic sites. The original bridge was built in 1225 of wood and was later replaced with stone during the early 1900s. You’ll also want to visit the Rathaus (Town Hall) that was built to honor the city’s joining of the Swiss Federation in 1501. It hovers over the marketplace and, with its bright red façade and fancy frescos, it’s hard to miss. The Marktplatz is the place to be every morning beginning at 6 am. Here vendors of all kinds come to sell their wares, everything from fruits, vegetables, roasted nuts, to housewares, clothing and electronics. Up a bit on the northwest side of the city from the Marktplatz is the Fischmarkt (Fish Market) Square, whose fountain once served as a holding tank for the day’s fresh catches.